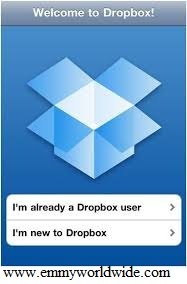 Dropbox is a personal cloud storage service (sometimes referred to as an online backup service) that is frequently used for file sharing and collaboration. The Dropbox application is available for Windows, Macintosh and Linux desktop operating systems. There are also apps for iPhone, iPad, Android, and BlackBerry devices. The service provides 2 gigabytes (GB) of storage for free and up to 100 GB on various for-fee plans. Another option, Dropbox for Teams, provides 350 GB storage. After installation and creating your account, a Dropbox folder appears with the user’s other folders. ==> Sign in to the Dropbox website. ==> Click the Upload button at the top of the window. ==> A window will appear. Click the Choose File button and then select the file on your computer that you'd like to add to your Dropbox. ==> Choose as many files as you like, and then click the Start Upload button. Note: You can drag and drop files among folders just as if they were all local. Files in the Dropbox folder can be accessed from anywhere with an Internet connection – the user just has to log in to his account to upload, download and share files. ==> To share a file, the user has to generate a URL for it from the Dropbox (under user profile) website and send it out so that others can view it or copy it out for other purposes. Note: Folders can be shared by sending an invitation from the Dropbox website. Recipients that don’t have Dropbox accounts will have to sign up to access the folder. Once a folder is shared, it will appear in the folder system for everyone who has access to it and all members will be able to make changes to files. All versions of files are saved. Go to your browser and type www.dropbox.com, download the app to your PC or Phone/Device, you wish. Feel free to share with us other ways of storing files online relating to this topic, which you know, using the comment box below and kindly share this post with your friends and tell your friends to share it with their friends. Related Posts: How to, Internet Tips. Labels: How to, Internet Tips.